China seems to be prevailing in technology and innovation in recent times, leaving behind many an advance country of the world. Recently, China has completed the construction of 6.2 miles long and 2,560 ft wide cable bridge over the Hangzhou Bay, in Shaoxing - a bridge being dubbed as the world's longest and widest cable bridge. 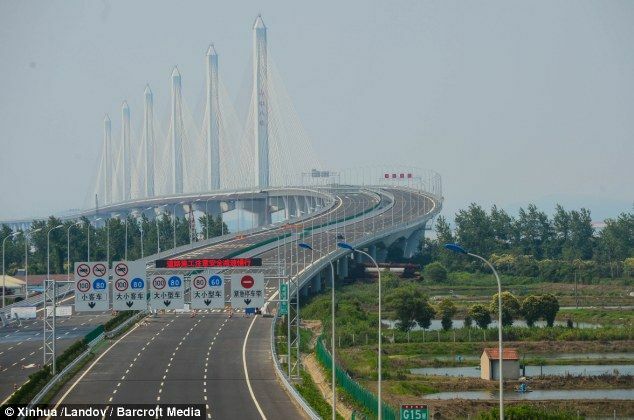 It may be added that already Aizhai Bridge in China is also World's Longest Suspension Bridge. The six-lane bridge is mainly supported by two cable-towers, both of which reach 745 ft in the air, and has a main body stretching 2,560ft wide.